I just happen to notice that my eyeglasses has served me for more than a year now and though it’s still in the best form as when I’ve bought it I’ve been wanting to have a new one. I’ve been wearing glasses since I was in college and I’ve gone through many styles and fashion of eyeglasses. My first set of eyeglasses was a big-framed one because that’s the fashion way back some years ago but now the fashion statement for eyeglasses seems so varied as you can wear a big-frame, small frame, semi-frame or frameless style and not be left out by the latest trend. It’s more flexible now than in the past several years so you can pick your preferred style without worrying that you’re out of the latest trend. I’ve been browsing a lot online these days for my own personal things and I’ve included searching for design of my new eyeglasses. I’ve found GlassesShop.com which enables me to have virtual try-on on different shapes of face and various frame style to choose from. I must admit I enjoyed searching on Wide Selection of Eyeglasses from the site and using virtual try-on to see which styles suits my face shape. It’s really exciting to see how it fits the models. It helped me in choosing the best style for me. I know that glasses will really look good on the models because they’re beautiful but the idea of picking the same shape of face is very helpful in choosing the best eyeglasses for me. I’m also glad to know of their return and refund policies which make your purchase risk free. 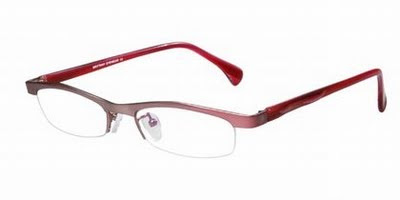 See what I’ve got here, I’ve posted one of their eyeglasses.